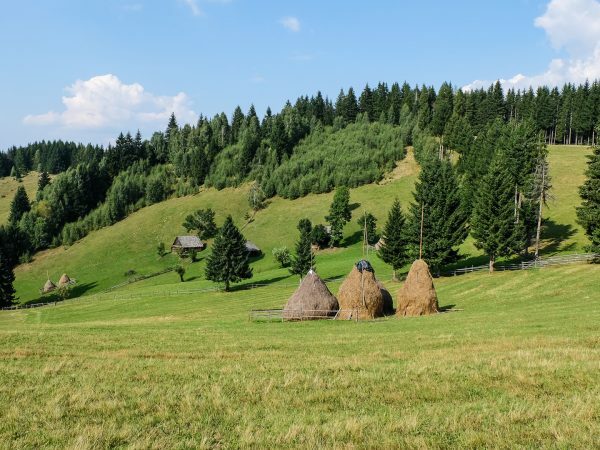 When discussing Romania, one of its neighboring countries always comes up, as they share a very similar history and culture throughout the centuries. 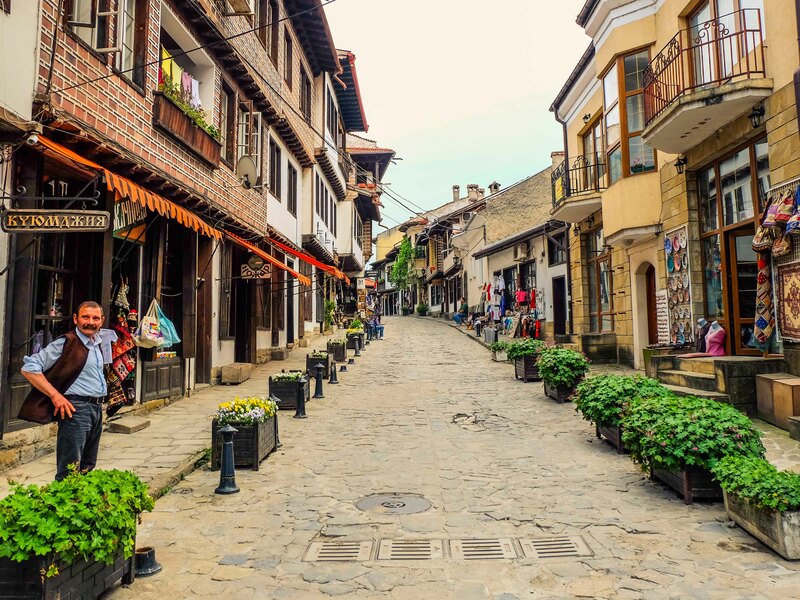 Bulgaria is a country located in the south of Romania and it’s visited by most tourists who would like to see as many Eastern European countries as possible in a relatively short period of time. Traveling to Bulgaria while visiting Romania is easy by car, crossing the Giurgiu – Ruse Bridge, also known as “the Friendship Bridge” that’s linking the two countries. The bridge is a direct connection between the Romanian city Giurgiu and the Bulgarian city Ruse. It was opened for traffic in 1954, and it’s one of the bridges across the Danube, alongside Calafat – Vidin Bridge at the Bulgarian border. Ferries cover the rest of the traffic. The bridge was built in two years, with the support of the former USSR. It’s also named the “Friendship Bridge” as a manner to reinforce the amiable relationships between the two countries. Both Bulgarians and Romanian are descendent of the Thracians, a population that used to inhabit lands found on the northern and on the southern side of the Danube. In 188 BC the Romans invaded Thrace and the war continued until 45 AD when Rome finally conquered the region. The conquerors quickly romanized the population. When the Slavs arrived, the Thracians had lost their indigenous identity and entered into decline as a result of numerous invasions. By the end of the fourteenth century, the Bulgarians were conquered by the Ottoman Empire, just like the Romanians. During the five centuries of Ottoman rule, the Bulgarian people tried many times to form their own state. This was possible only in 1878, when after the autonomous Bulgarian principality was recognized by the San Stefano treaty. Some Romanian historians claim that the Second Bulgarian Empire, which lasted between 1185 and 1258 was called the Romanian – Bulgarian empire, because it was a multi-ethnic state, founded by Bulgarians and Vlachs from the south of the Danube who rebelled against the Byzantine Empire. Nevertheless, it’s clear that the populations that inhabited that particular region were more the once allies or at least had amiable relationships, which is why Romanians influenced somehow part of the Bulgarian culture and vice versa. This is one of the oldest towns in the country, with a history dating back to more than five hundred years ago. 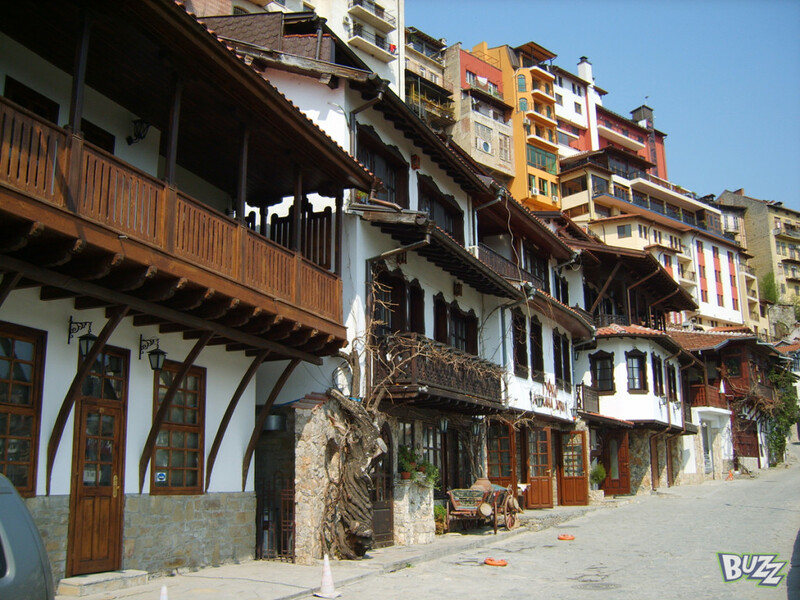 The town is located in the middle of the northern part of Bulgaria. 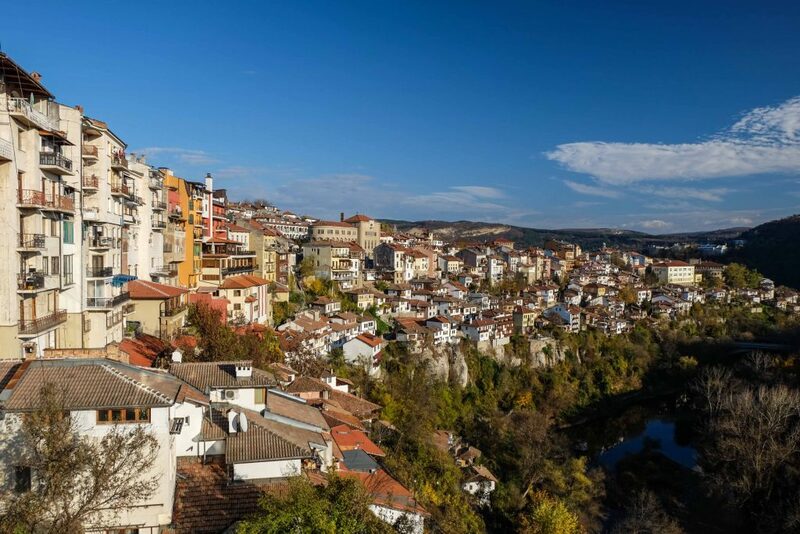 Former Bulgarian capital, Veliko Tarnovo is best known for it medieval fortress. The town is located at the crossing point of several roads and commercial routes, which is why it was a highly developed town in terms of economy and culture. The medieval fortress Tsarevets is situated on the peak with the same name, surrounded by the river Yantra. The fortress served as a real medieval town, as excavations made in the past have shown. The fortress includes a palace, the Saint Petka church and multiple residential and economic buildings. 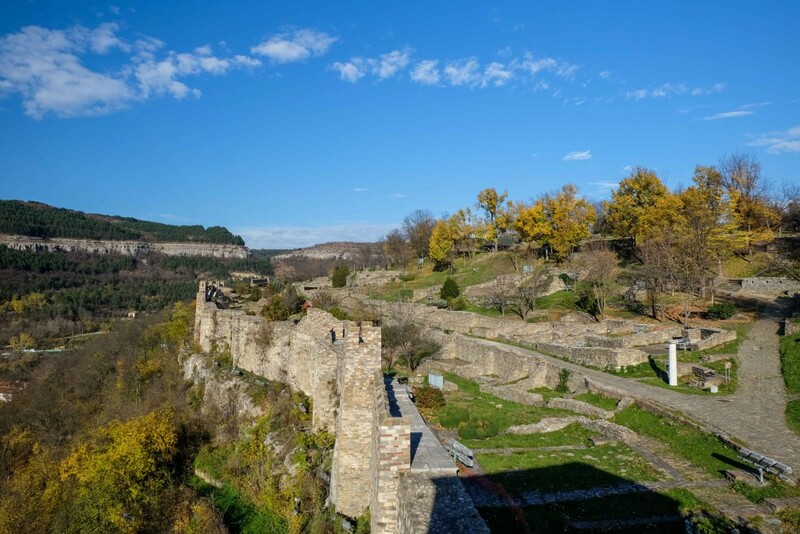 Since the moment you enter Veliko Tarnovo, you have the feeling of time travel. Narrow, winding streets, unchanged for centuries, cafes Bulgarian, Macedonian, Greek or Albanian specific – some of them carved directly into massive rock – houses abandoned or suspended on the canyon’s walls, everything seems like from a distant place. Luthier artisans, confectioners, bakers, antique dealers, that are working in homes with windows wide open so you can see all of their activities, all more reminiscent of a past about which you may not think you can relive in full XXI century. 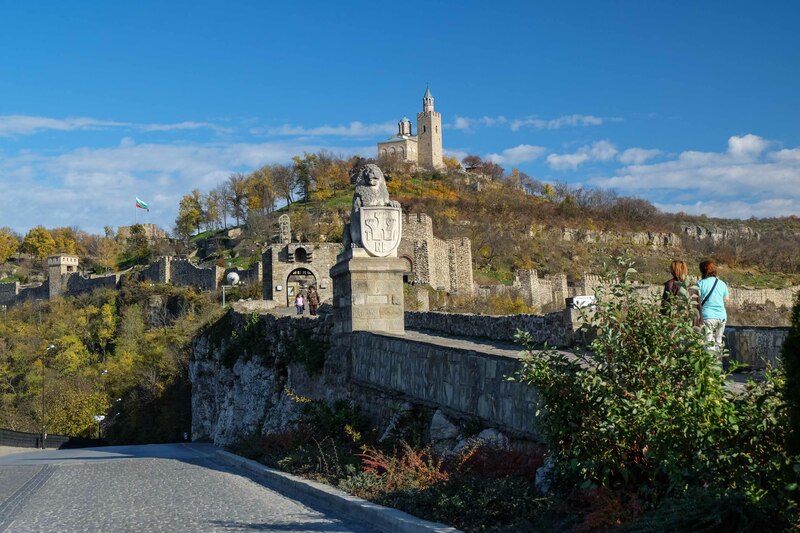 However, it exists, and Veliko Tarnovo leaves this kind of impression on almost anyone. If you were to compare Veliko Tarnovo with a Romanian town, what comes to mind is the medieval town of Sighisoara. Bulgaria is a country where religion is present almost anywhere you go. 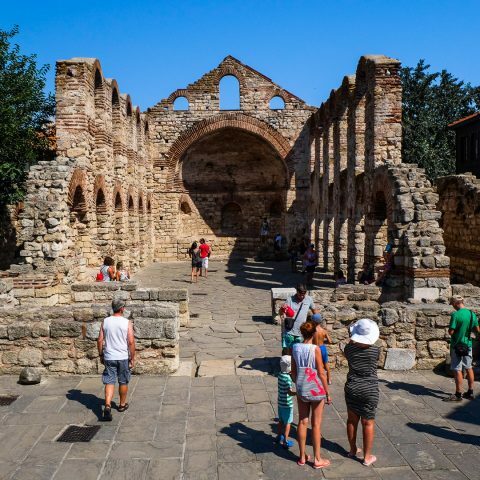 That’s why churches, monasteries and religious art are a strong component of Bulgarian tourism. St. Dimitrie, whose relics are now in the Patriarchal Cathedral in Bucharest, lived in the thirteen century, during the second Empire from Tarnovo, founded by Romanian and Bulgarians under the leadership of the brothers Peter and Asan. 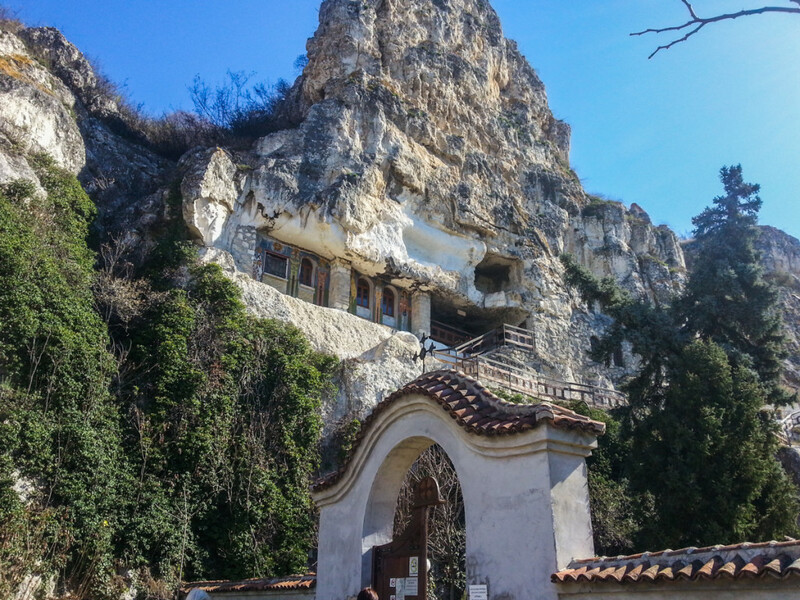 This is the only monastery carved into rock, still functioning in Bulgaria. 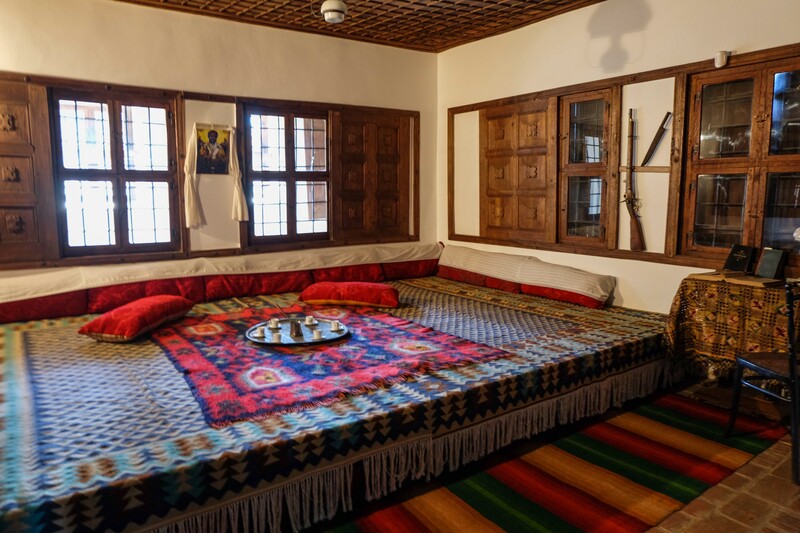 It is found 10 km from Ruse in the picturesque valley of the river Lom. From the spilling of the Lom into the Danube, climbing to Ivanovo, you can see about 300 cells dug into the river rock. Traces of frescoes can be seen on cave walls to this day. The churches from Ivanovo are today part of the UNESCO Heritage. The Cave Church of St. Demetrius was built in 1865, with aid received from Romania. The current monastery consists of a church, built in the original Cave of St. Dimitrie. 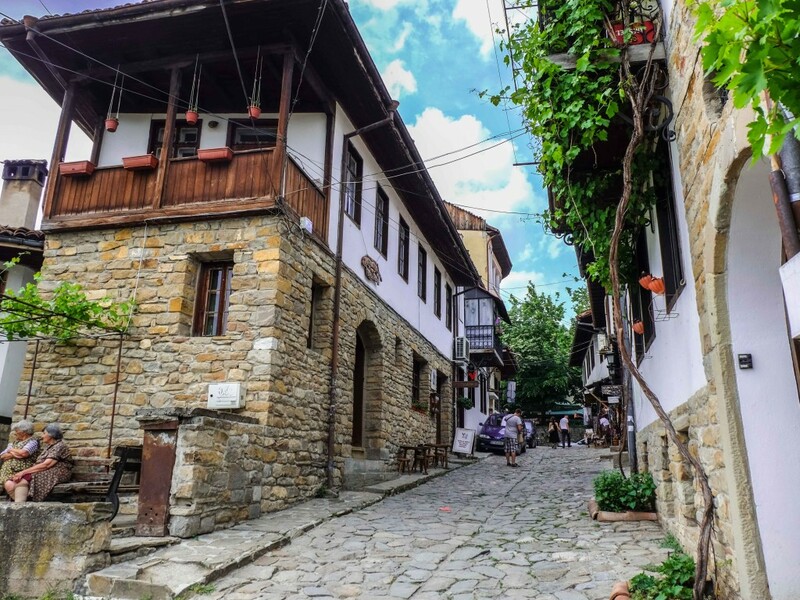 Arbanassi village is a special place next to Veliko Tarnovo, as most houses are made of stone. It seems that Christians who came here from the South – Western Balkans, founded this village in the fifteenth century. In the seventeenth and eighteenth century, Arbanassi was an important commercial center. People from this village were involved in international trading. During this period, the village had about 100 houses. The villagers had commercial relations with Italy, Austria, Hungary, Russia, Transylvania and even India. In the village and its surroundings, many tourist attractions could be appealing for those interested in the local history. 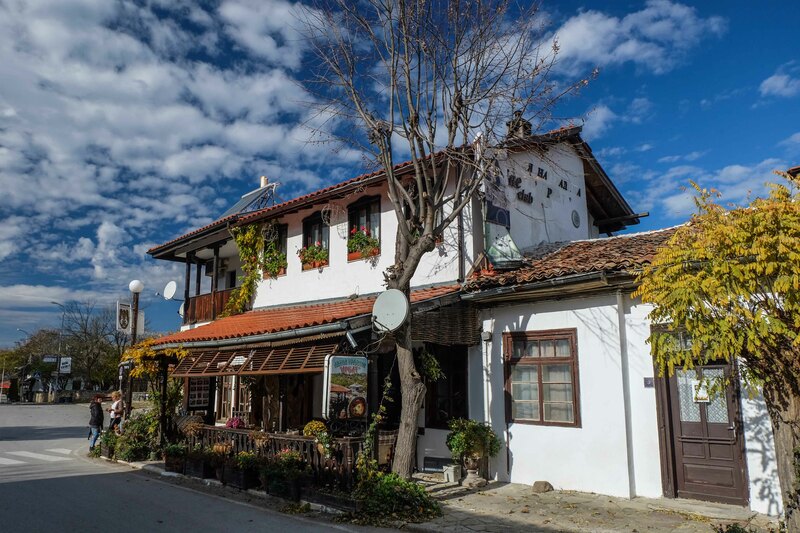 You can take a relaxing walk through the center of the village and admire the old stone houses. 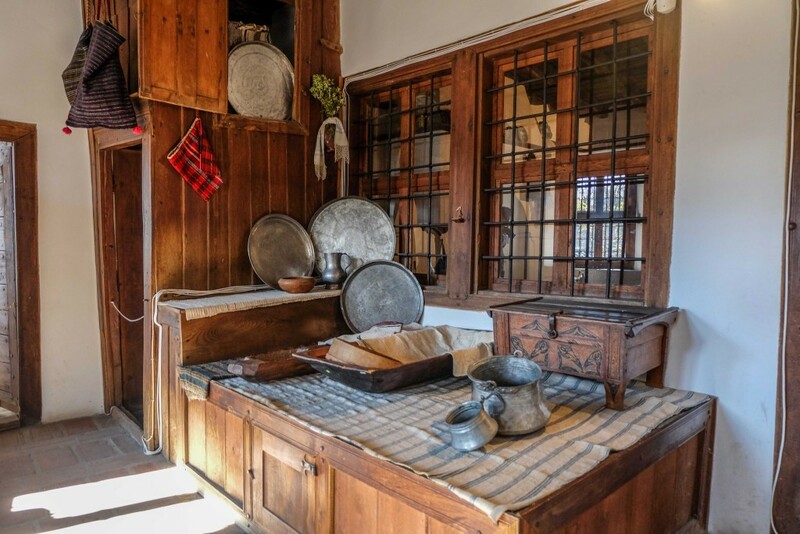 They were built during the Renaissance and the most famous ones are the Constantalieva House, the Hagiilieva House, the Kandilarova House, the Haginikova House and Chamurov’s House. 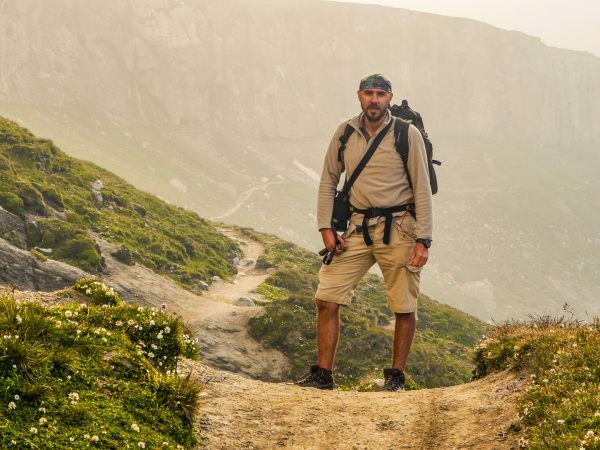 As you can see, it’s well worth visiting the Bulgaria during the Bulgaria Countryside Tour. In just one day, you’ll be able to see some remarkable monuments and buildings, as well as amazing landscapes. 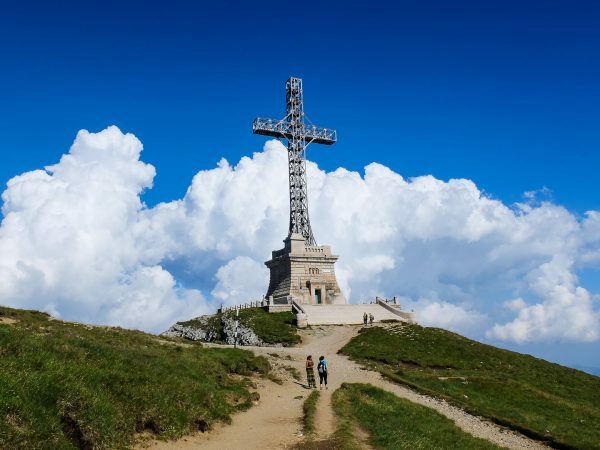 If you would like to visit more Eastern European countries, all during one affordable tour, we suggest you book the Romania, Bulgaria and Moldova Tour.